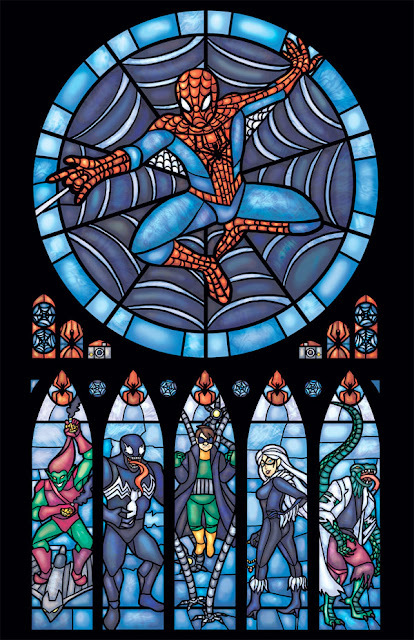 Cultural Compulsive Disorder: This Is What The Windows Look Like At The United Church Of Geek!!! 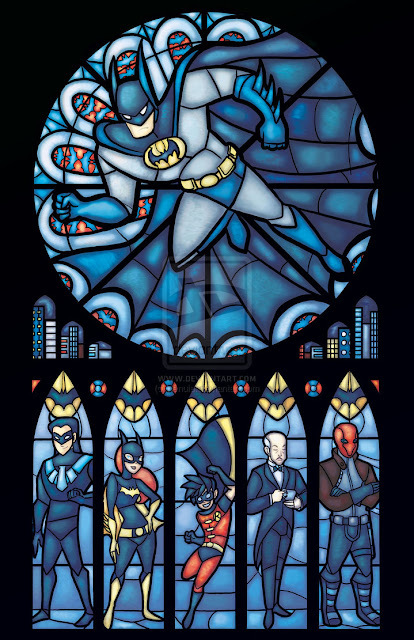 This Is What The Windows Look Like At The United Church Of Geek!!! 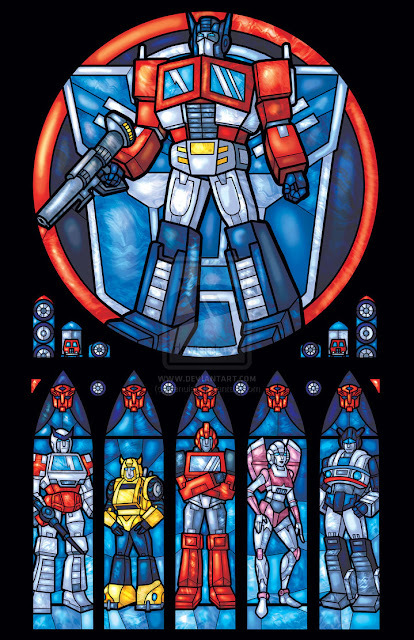 Artist Marissa Garner knows just how fanatical geeks can be, and knows that some of them worship their beloved characters as if they were religious figures. So she decided to do some awesome stained glass portraits featuring some geek culture heavies (Optimus Prime, Spidey, Professor X, and Batman) and their supporting characters. Now if the windows look like this at my local church, I might just pop in a bit more than once a year. You can see more of Marissa's work here and buy some of these prints at her Etsy shop by clicking here. 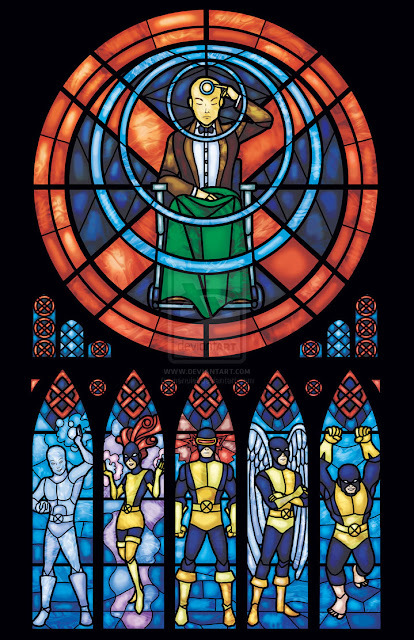 All hail the geek stained glass.... after the jump!